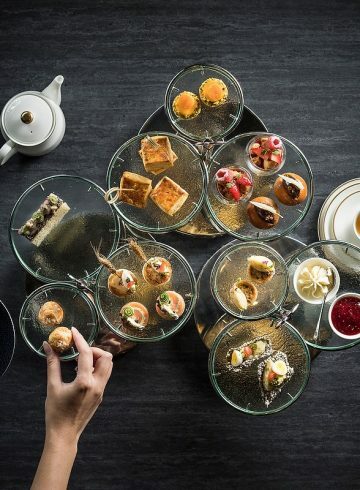 Sofitel Singapore City Centre invites one and all to indulge in the time-honoured culinary tradition of Easter Sunday Family Brunch at Racines. 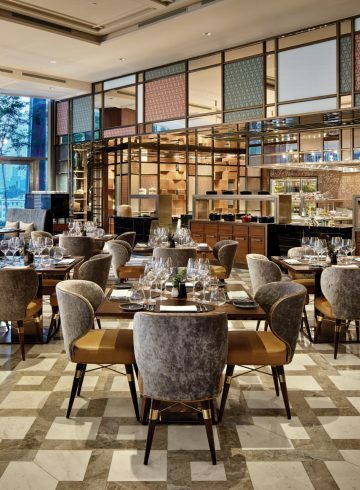 In addition to the finest buffet selection of authentic French delicacies and local Chinese favourites, the award-winning restaurant has lively activities planned for diners of all ages. 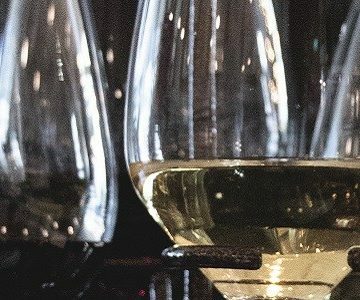 A decadent spread awaits including a specially curated ensemble of Easter carvery featuring roasted lamb with saccharine caramelised onions; and mouth-watering Black Angus beef tomahawks served alongside bordelaise jus and a choice of mustards. Executive Chef Jean-Charles Dubois will also be showcasing several dishes from his repertoire including sautéed Atlantic Saint Jacques scallops; French duck pan-seared with figs for sweetness; and blackened spiced Wagyu beef briskets slow-cooked to perfection. Not to be outdone, Executive Chinese Chef Andrew Chong puts forth a collection of Chinese classics to match featuring duck leg confit tossed with chicken floss; deep fried Barramundi coated generously in black bean sauce; light and crispy fried eggplant in sweet and sour sauce; and his signature Shanghai noodles with shredded chicken in specialty broth. For a visual treat, diners may watch the culinary brigades at work – live from the restaurant’s two Marrone stoves. Be treated to a theatrical performance of sizzling pan-fried foie gras with apple and pineapple compote; char-grilled rock lobster topped with a classical béarnaise sauce; juicy Kurobuta pork yakitori; and Singapore-style “Chilli Crab” prawns with mini mantou for dipping. As a sweet ending, look forward to Executive Pastry Chef Sam Leong’s Easter chocolate egg station, where he will be preparing a festive dessert with a vanilla mousse base and diners’ choice of condiments before topping it off with passionfruit espuma. Other sweet treats include Grand Marnier French Crêpes Suzette with vanilla ice cream; chocolate fontaine with condiments; and croissant waffles prepared ala minute. Easter Sunday at Racines would not be complete without fun and games for the whole family. Parents will be able to dine with peace of mind as children are entertained throughout the afternoon at the dedicated Kids’ Activity Lounge with its own selection of child-friendly cuisine. The Easter Bunny will also be making an appearance, leading diners on an exciting egg hunt. The Easter celebrations begin early at Sofitel Singapore City Centre with an Egg-Citing Art contest from 1 April to 20 April. Diners at Racines are invited to decorate Easter Eggs with a chance to win weekend stays at the luxury 5-star hotel. 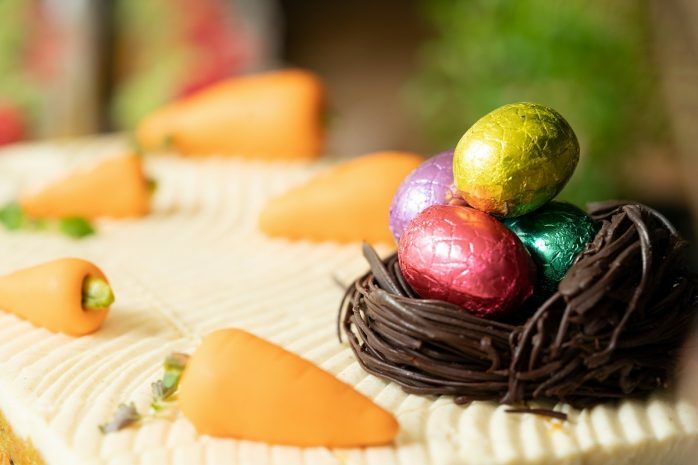 Participating families will also walk away with 10% off the adult Easter Sunday Family Brunch packages and complimentary packages for their kids. Reservations are highly recommended due to high demand.